Call for Availability Immerse yourself in one of the most luxurious raised pilothouse yachts in the world. Her purposeful, distinctive design is yours to define through a world of craftsmanship. The flybridge is invitingly vast accommodating sun loungers, sofas, dining area, a wet bar and even a spa bath should you wish. The Princess Design Studio is on hand to capture the very essence of your interior design ambition. And with class-leading interior volume, you’ll have all the space possible to realise it. The handcrafted finish throughout is prestigious. And your guests are cossetted with a choice of three or four beautifully appointed en suite cabins to choose from. 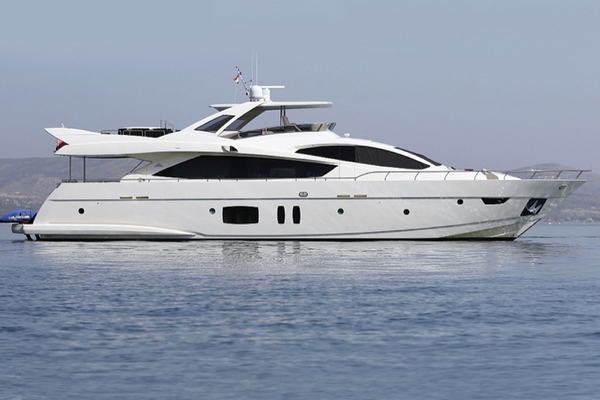 United Yacht Sales New Jersey would love to guide you through a personal showing of this 100' Princess 30 M Class 2019. This yacht for sale is located in Unknown United States. For pricing details or a showing please contact us by filling out the form on this page and we will get back to you shortly!